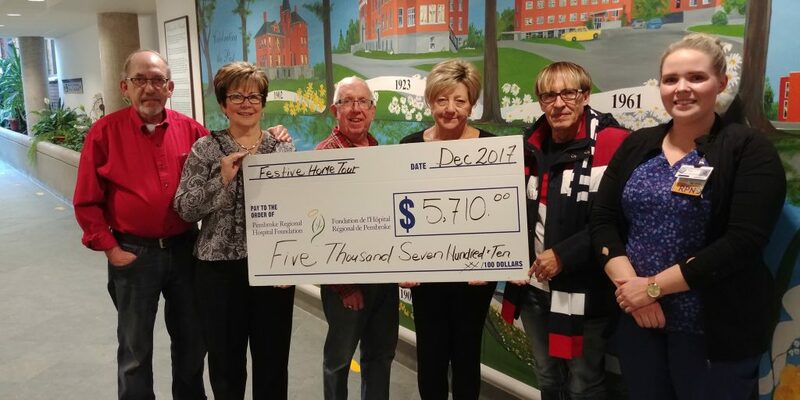 It was a beautiful, sunny winter’s day for the Festive Open Houses on Sunday, December 9th, with the event netting a total of $5,500.00 in support of the Pembroke Regional Hospital Foundation. It was the fourth year that the Dobbs Family opened their doors to the public, and the first year for Grey Gables Inn, which was a winning combination as more than 350 people took part in the event. Greeted by the scent of warm apple cider and the sound of live Christmas music, guests walked through the decorated houses, taking in all of the festive décor and sparkling lights. Thank you to our gracious hosts, Lynda and Kirk Dobbs, and Lisa and Rigo Borquez from Grey Gables Inn, for opening their doors in support of the PRH Foundation; to our entertainers Andy Mayenburg, Caroline Kelly & Elva Merredew, the Ghost Town Cryers, Gillan Rutz, Kara Buelow and the Rockwood choir, accompanied by Wendy Hewitt, Michael Ridout, Pembroke Community Choir, Peter Boczar, Red Hot Mommas, and Sierra Levesque; to Buns Master, CANEX, Grey Gables Inn, Hyska’s Independent, Klaesis Bakery, Moncion Metro, the Kitchen Eatery and Wilkies Fresh Baked Breads for the delicious treats, and to our countless volunteers, for their time and dedication. Last but not least, thank you to all of our guests who participated in the event – we are humbled by the overwhelming support of our community for our local hospital! All proceeds support the Cutting Edge Campaign, raising money for the orthopaedic equipment and renovations to the circa 1950’s surgical in-patient rooms. The campaign has raised $1.65 million dollars so far, with a goal of $2.5 million. Thank you to all those who participated in the Festive Open Houses; you help bring comprehensive health-care closer to home! The Pembroke Regional Hospital Foundation would like to thank Lynda and Kirk Dobbs, and Connie and Daniel Hoffman for hosting a spectacular Festive Home Tour. 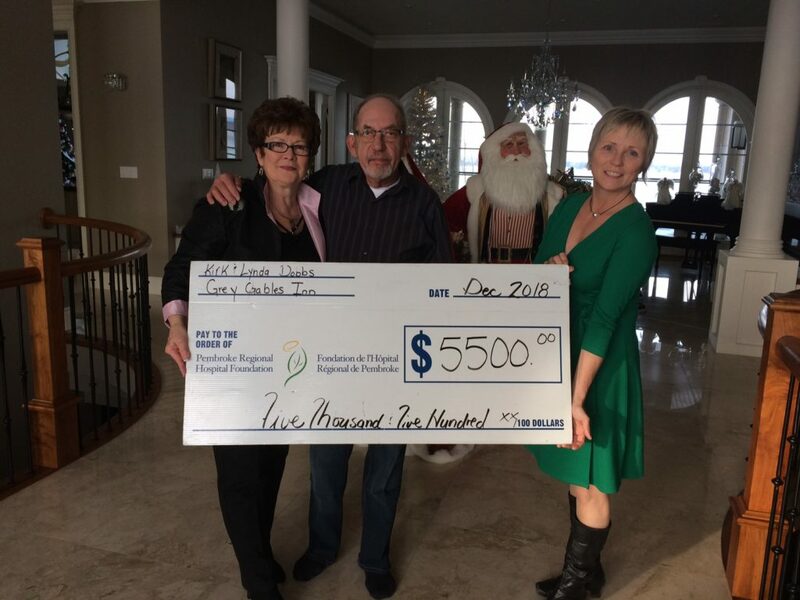 With over 280 people attending and $5,710 raised this year, the Holiday Home Tour has raised over $18,000 in support of local health care. We would also like to extend our thanks to performers, the Red Hot Mamas, Pembroke Community Choir, Mackenzie Graham, and the dedicated volunteers who helped make this event such a wonderful success. The Pembroke Regional Hospital Foundation is very blessed to work with such a generous community!